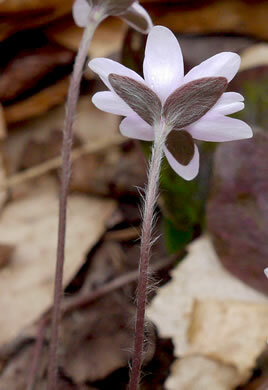 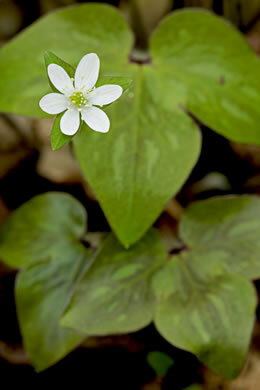 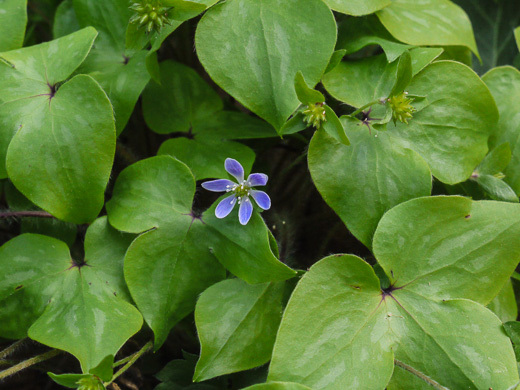 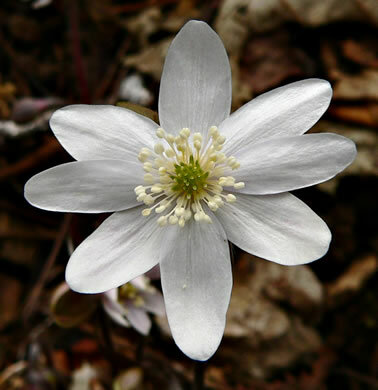 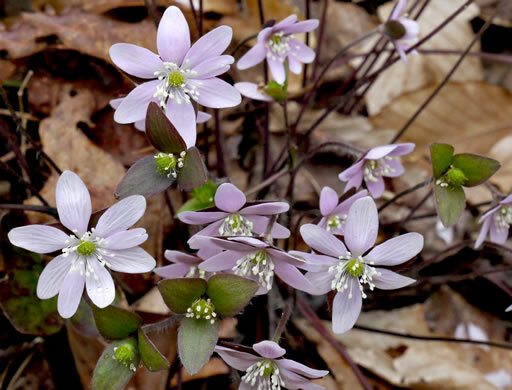 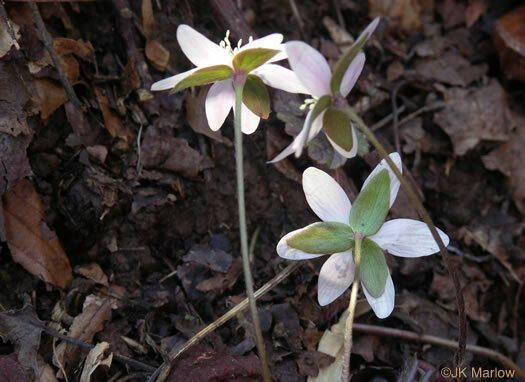 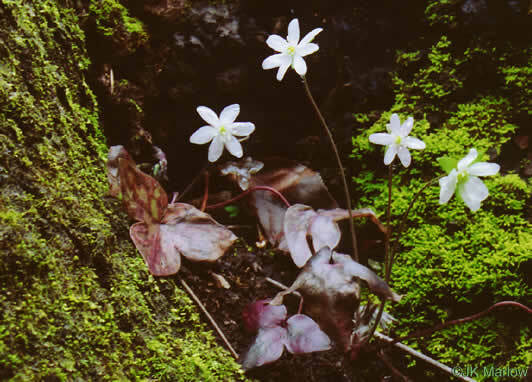 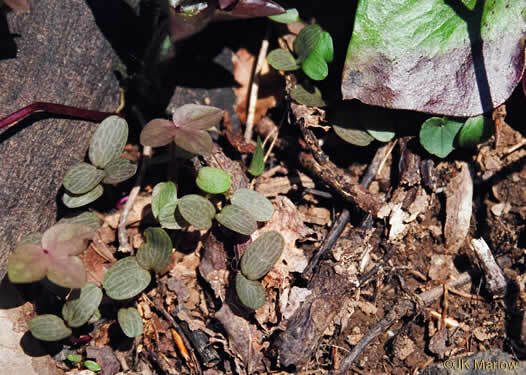 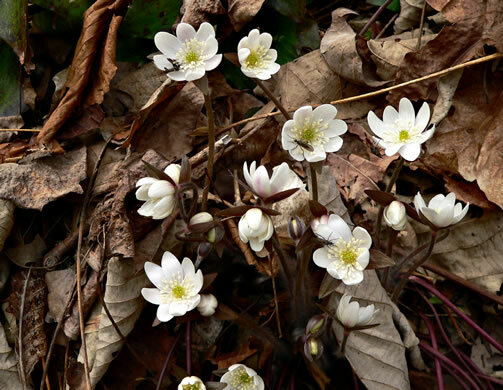 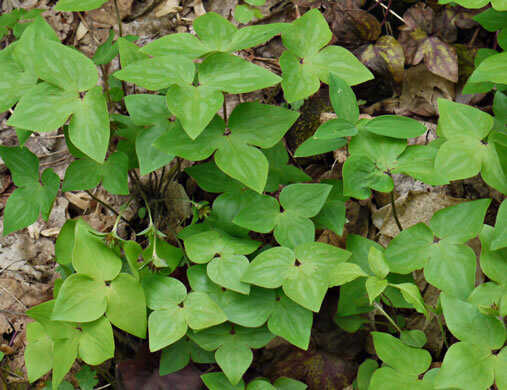 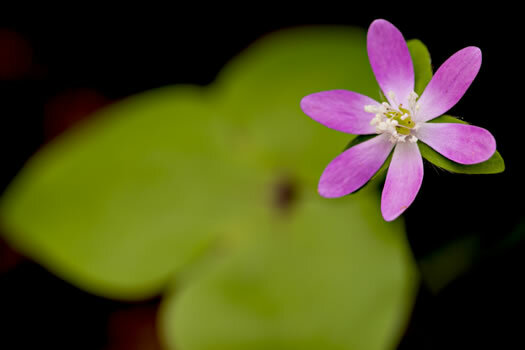 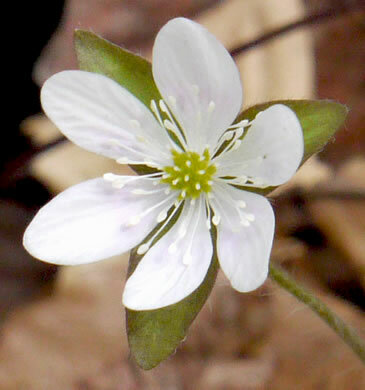 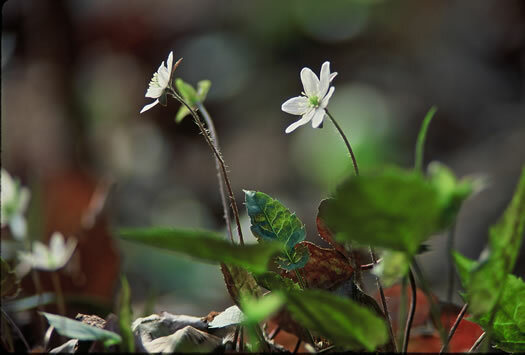 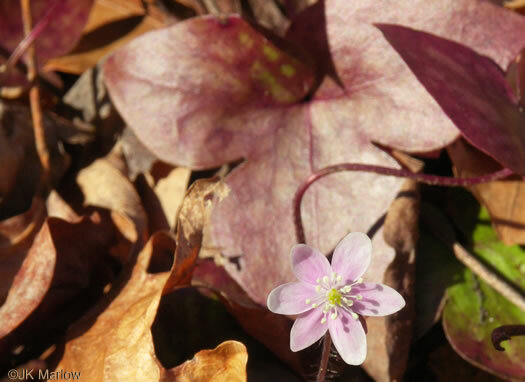 Read about Hepatica and Anemone from Alan Weakley and the Southern Appalachian Botanical Society. 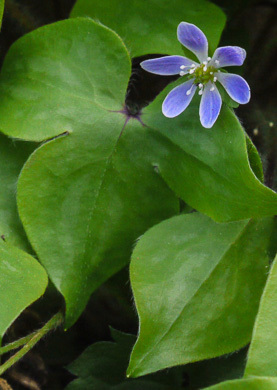 Flowers solitary on elongate, hairy stalks, per Guide to the Wildflowers of SC. 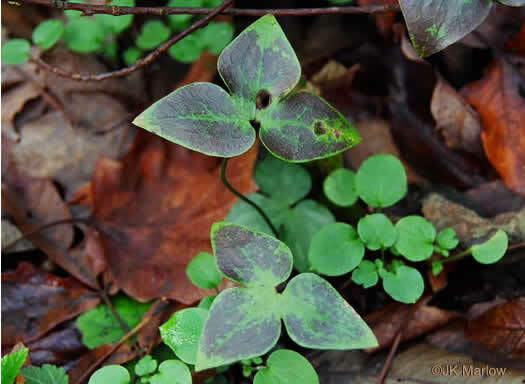 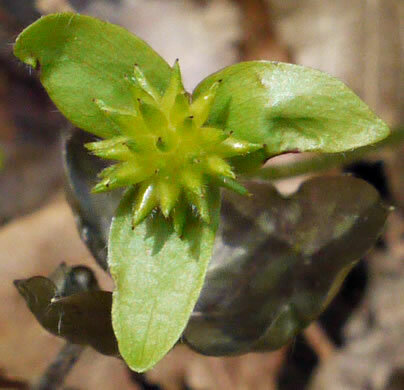 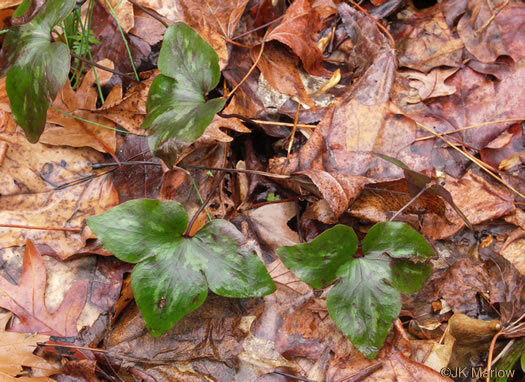 Old leaves present at early flowering; new leaves develop later, per Guide to the Wildflowers of SC. 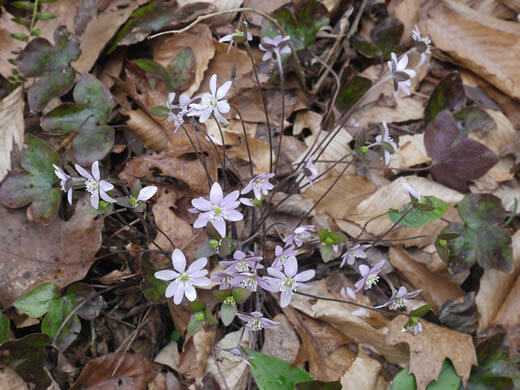 Flowers are subtended by 3 green bracts with pointed tips, per Wildflowers of Tennessee, the Ohio Valley, and the Southern Appalachians. 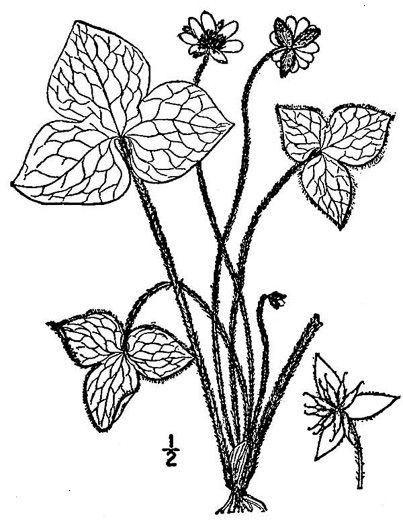 Flowers solitary on elongate, villous or pilose scapes, per Vascular Flora of the Carolinas. 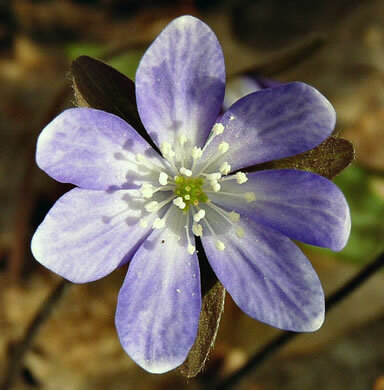 The 5-12 petal-like sepals are white, pink, lavender, purple or blue, per Wildflowers of Tennessee, the Ohio Valley, and the Southern Appalachians. 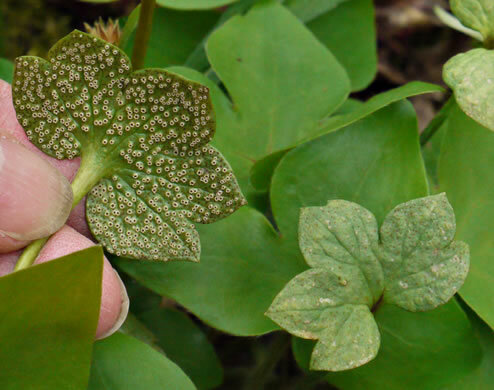 Deformed leaves with a rust fungus. 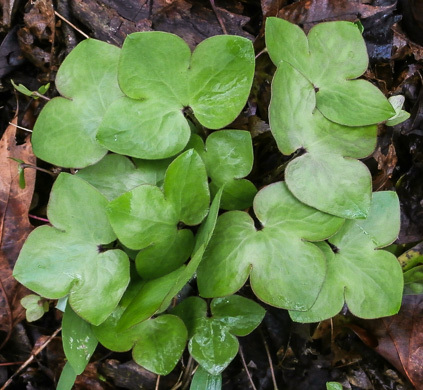 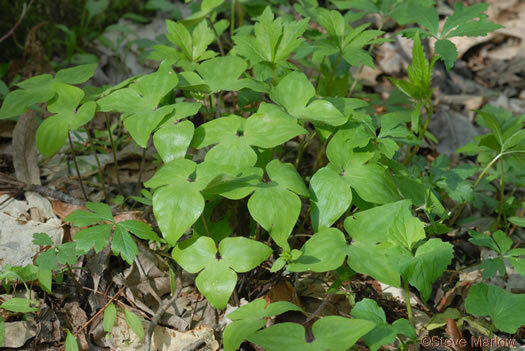 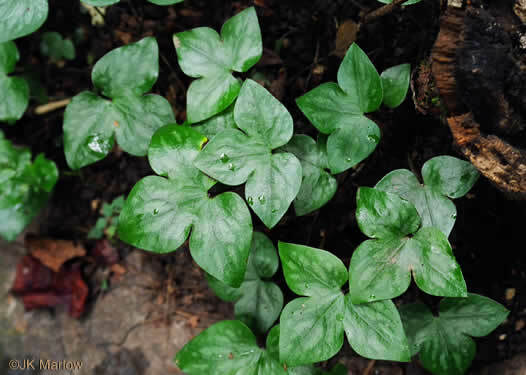 Three-lobed evergreen leaves w sharply pointed tips, hence the common name, per Wildflowers & Plant Communities of the Southern Appalachian Mountains and Piedmont.